What is Photo Exposure? By definition it is the total amount of light allowed to hit your digital camera's sensor. Look, we all want perfect exposure photography, right? If you take just 10 minutes to read this article in detail, you'll get a better understanding. Adjusted exposure setting to minus 1 f/stop which is half the recommended exposure. With digital photography it's critical to start with the right exposure to get the best quality photo in the end. Under exposure can cause reduced details and increase in noise. Over exposure can destroy the highlights and cause an unnatural shift in colors. That amount of light that hits the sensor is controlled by 3 variables. Shutter Speed. How long the shutter is open to let the light into the camera. ISO. How sensitive the sensor is, how much light it needs to get the right exposure. Here's the formula below on how to get perfect exposure. But here's the problem. Your camera can still make mistakes in exposure, even when it's put on automatic. But don't despair. You really need to understand what all the settings on your camera mean and how to use them to your advantage. Here's my advice. Play around with them when your NOT photographing anything important. That's right. Use the 3-step method below to develop an ability to get the perfect exposure. Pick the same subject to photograph using different settings. Use your camera manual as a guide to see how you can change your settings. Look carefully at the results you get and see how the exposure settings change your photo. Have fun with this. Adopt the curiosity of a child and make it playful to experiment without any caution. Each of the three exposure variables is explained in more detail below. You can set your camera to automatically set all of these for you. 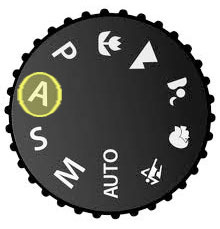 In most cameras it may be called "Auto" or "P" for Program. 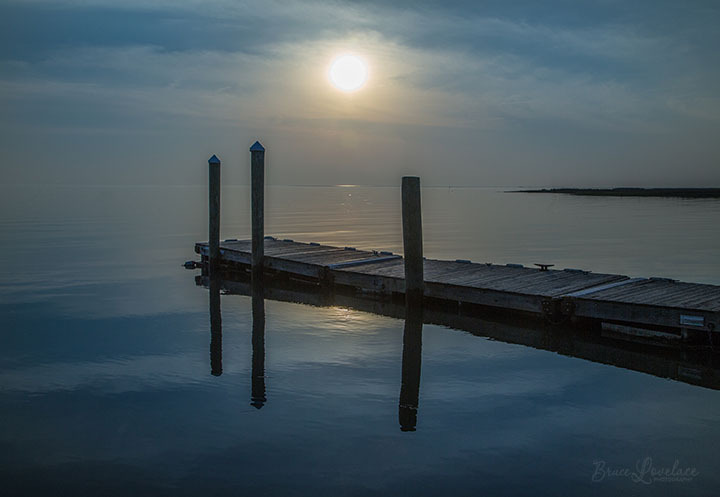 However, if you want to become a better photographer, a basic understanding of the three elements that effect your picture exposure will help. Adjusting any one of these three settings individually on your camera will affect your photo's exposure. 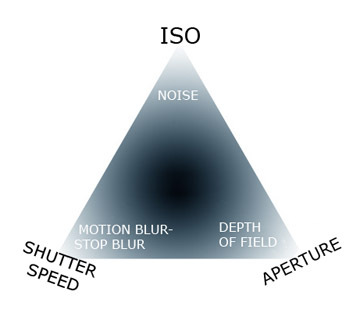 See the Photography Exposure Triangle Illustration below. The words in white, inside the triangle tell you what will be effected by changing that camera setting. All three of the areas inside of the triangle may effect image sharpness in one way or another. 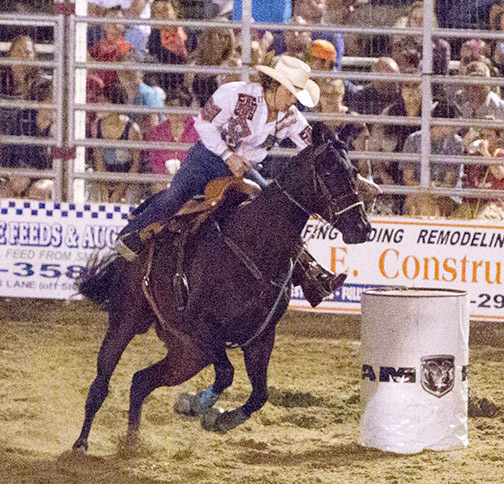 Shutter speed, aperture and ISO work dependently on each other to get your exposure right. If you change one of these settings, then you or your camera would have to change one of the other two to maintain the same exposure. More in-depth coverage can be found elsewhere, but you can get a grasp on how to get the correct exposure in manual mode once you understand the photography exposure triangle. You can see that under the ISO is the word NOISE. Noise refers to random bits of data that affect the quality of your photo. A higher ISO setting means more noise. Shutter Speed can affect how much or how little blur may occur, pending on how long that door, called the shutter, is open. A high shutter speed may stop you from getting blurry photos. Sometimes you may want to create the feeling of motion on purpose by using a slow shutter speed to create motion blur. You can see from the 4 photos below, how shutter speed effects motion blur. All 4 photos were taken almost immediately after impact of the cue ball into the rack of balls on the pool table. Even though I didn't strike the cue ball very hard to break the rack, I had to use 1/200 of a second to freeze the action. The photo exposure stayed the same because the camera was set on automatic and it adjusted the aperture to compensate for the changes in shutter speed. This camera setting is called Shutter Priority. It's usually marked as an "S' or a "Tv" on your camera mode dial. 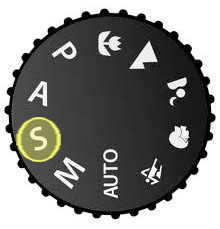 It means you set the shutter and the camera automatically sets the aperture. If you are forced to use a slow shutter speed to get a good exposure with your photo, consider using a monopod. It is probably one of the most convenient, but seldom used pieces of photography equipment that beginners don't know much about. There are a lot of choices available and you should read up a bit on them to get the most out of Using a Monopod. In this setup of the billiard balls, the cue ball came in from the right side of the photo to "break" the rack of balls at a similar speed in each of the four photographs. Once the shutter speed was quick enough, it froze the action and you can't detect any motion blur. Aperture, also known as f-stop, affects depth of field. Depth of field is the range of close and far things that remain sharp and in focus within your photo. A small aperture is a small opening and will give you a large depth of field. This is a good camera setting when you want things close and far from the camera to be in focus. Look below to see how the smaller aperture (f/22) gives you more depth of field. Remember that larger f-stop numbers mean smaller apertures. On the left I focused on the male mannequin. At f/1.8 there is very little depth of field and the female mannequin is completely out of focus. In the middle photo, I focused on the female mannequin, again using a camera setting of f/1.8 for the aperture. Mr. Photo Mannequin is now out of focus. Only at an aperture setting of f-22 were both in focus. To get them both sharp, I actually focused at a distance in between my two subjects using my 85mm f/1.8 lens. This camera setting is called Aperture Priority. It means I set the aperture and the camera automatically sets the shutter speed to get the right photography exposure. ISO means sensitivity to light. It used to be called ASA. Both ISO and ASA are acronyms for organizations that set standards for sensitivity. The only thing you really need to know is that higher ISO means your camera sensor is more sensitive to light. It won't need as much light to get the right exposure. ISO 100 was considered the normal standard. The advancement in technology and improvements in camera sensors have changed the "normal" ISO to be much higher for digital cameras now. Correct image exposure won't be affected by your ISO setting if you have your camera set on an automatic setting. High ISO's create digital noise and lesser quality images. Depending on how high you set your ISO, it may not even be noticeable unless you are making very large prints. Lower ISO such as 100 or 50 will produce the finest quality, grain free images that your camera is capable of. Bigger cameras with larger sensors generally perform better at higher ISO camera settings with less noise. The variation of brightness in our visual world is amazing. Our eyes do such a great job of adjusting that we don't realize it. If we compare the amount of light when sunshine strikes snow with the amount of light there is in a darkened room , it is literally thousands of times brighter. Camera sensors do not have as big of an exposure range as we humans do, so it's important to get the correct photo exposure for your pictures to come out their best. Keep the photo exposure triangle in the back of your mind and you will understand how changing one digital camera setting will affect another. Most cameras will give you an adequate photo exposure that is close enough for the average snapshot in the majority of situations. Remember, if you want to improve your photography in more unusual photographic situations, it is important to understand the photo exposure triangle and how shutter speed, aperture and ISO are related and the effect they have on each photograph. We all want to know how to get the correct exposure in photography. I hope this article helped. Happy Shooting! You can an in-depth understanding of this topic and more digital exposure tips by getting a good book on shutter speed, ISO settings and aperture, or from signing up for lessons on video.